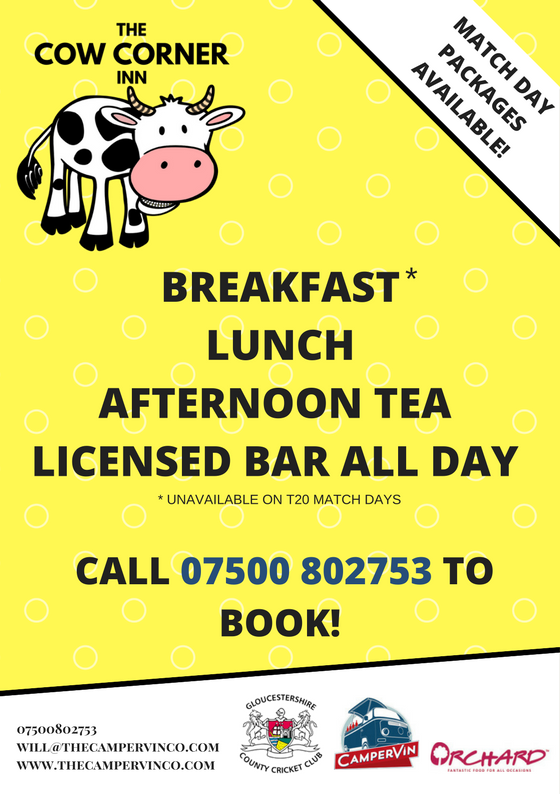 ​On Monday 3rd July, the annual Gloucestershire County Cricket Club Cheltenham Cricket Festival returns to Cheltenham College and we have teamed up with The Cow Corner Inn, located at Cow Corner of the ground, to add some fun to the fortnight of cricket! ​The festival starts with a County Championship 4-day match between Gloucestershire and Glamorgan. As with ALL County Championship matches at the Cheltenham Festival, The Cow Corner Inn will be hosting its 5 o'clock Fun Club which includes FREE ENTRY to the ground after 5pm (perfect after a long day in the office) and drink offers including 2 x cocktails for £10, a burger and a beer for £5 (5pm-6pm), a jug of pimms for £15 and a bottle of prosecco and strawberries for £20. This offer is also available for the Gloucestershire v Worcestershire County Championship game that starts on Sunday 9th July! ​There will also be three T20 matches - 7th July - Gloucestershire v Middlesex, Thursday 13th July - Gloucestershire v Kent and on Sunday 16th July when Gloucestershire face Sussex to close the festival. 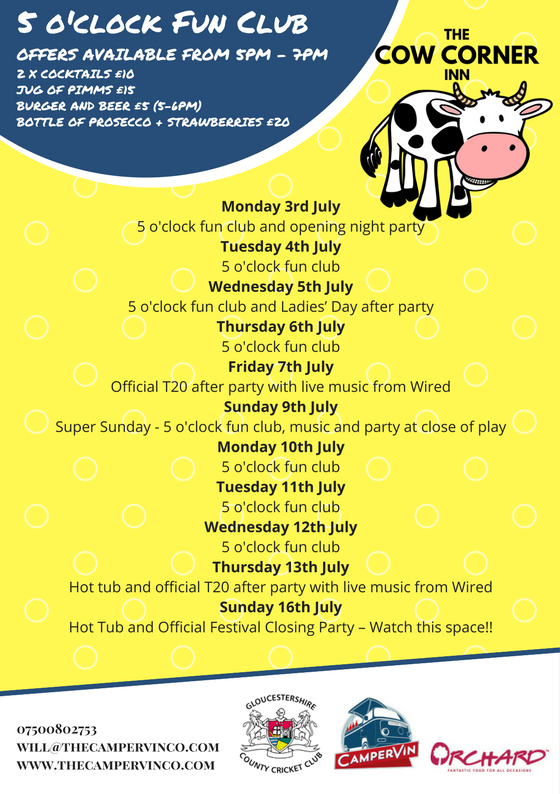 This is followed by the Festival Finale - The Official Festival Closing Party at the Cow Corner Inn straight after the last ball is bowled with live music from Wired and Cheltenham's very own favourites, Duke! CLICK TO WIN 2 TICKETS TO THE FESTIVAL FINALE INCLUDING T20 BLAST MATCH + DUKE!